Credence MedSystems’ core philosophy of Innovation Without Change has produced the Credence Companion lineup of injectable drug delivery products. As discussed in prior articles, Innovation Without Change has delivered a platform of high-impact products because it is guided by two voices, the end-user performing the injection and the drug manufacturer. This article focuses on how development of the Companion product line has been driven by these two constituents, the innovation driven by the end-users’ needs and the avoidance of change driven by needs of the drug manufacturer. With Human Factors (HF) analysis driving the Companion’s evolution, this article will also discuss the findings of two formative HF studies. Innovation Without Change simplifies the commercialization path for drug manufacturers while introducing critical innovation in the end device. 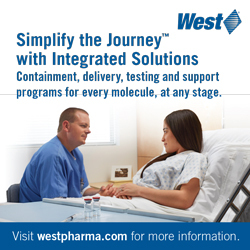 The modular approach gives drug manufacturers the freedom to select existing syringe barrel, stopper, and cap/shield primary package components from preferred vendors, mitigating much of the development, regulatory, and supply chain risk associated with combination product development. The Companion needle and plunger rod are incorporated with the syringe barrel, yielding an end device that features passive needlestick safety and syringe disabling technology. 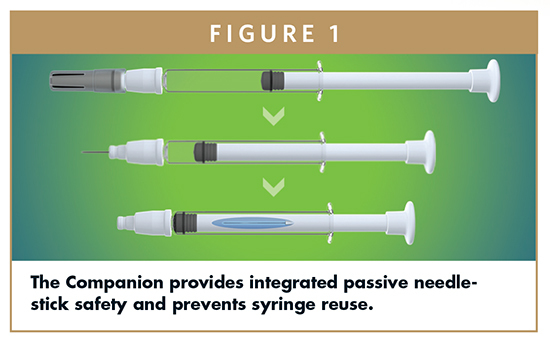 Upon completion of the injection, the user receives audible, visual, and tactile cues that the dose has been delivered, and then the needle automatically retracts into the barrel of the syringe, rendering the syringe needle-free and preventing reuse (Figure 1). 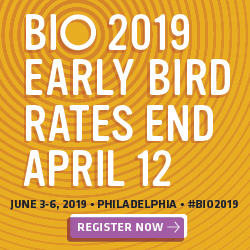 This shifts the paradigm for conventional drug delivery device development, allowing drug manufacturers to provide their end-users the best safety and usability features that have traditionally been abandoned due to the time, cost, and risk conventionally associated with implementing innovation. Credence has expanded the Innovation Without Change concept to a platform of products that includes the Luer Companion, where the user attaches the needle, the Staked Companion, where the needle is provided to the user pre-attached, and most recently, the Dual Chamber Reconstitution Safety Syringe. When Credence first introduced the Companion technology, the value of maintaining existing primary package components was immediately understood by our biopharma manufacturing partners, as changing a drug’s primary package can require several million dollars and extend up to 3 years of development.1 They quickly communicated the further importance of avoiding disruption to the fill/finish and secondary manufacturing processes. As a result, the Companion was developed to work seamlessly within existing tubs and to allow syringe filling to occur without modification. 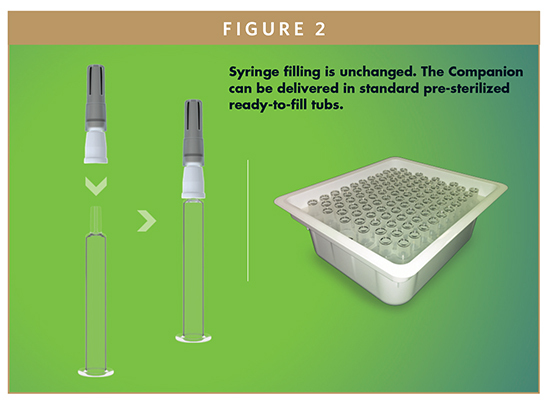 Even with the Staked Companion, drug manufacturers will be able to source syringes with preattached Companion needles using the supply chain within which they have traditionally operated (Figure 2). In order to simplify the secondary assembly requirements, Credence advanced the Companion’s design to make the finger flange optional. The only required secondary assembly step is the addition of the Companion plunger rod, which is performed using existing equipment and processes. This simplicity of design eliminates the additional equipment needed to mount a finger flange or the external spring-loaded devices common in the market, avoiding the capital expenditure as well as the assembly cost, labor, and time (Figure 3). Drug manufacturers further communicated concerns about the interaction between their drug and foreign substances like silicone or adhesive conventionally used to mount staked needles. Both have been shown to cause protein aggregation with sensitive drugs.2-4 In response, Credence eliminated glue from the Companion lineup, removing any risk of interaction with the drug, and allowing alternate lubrication techniques, such as baked-in siliconization, even in a staked needle presentation. Further, the glue-free needle mount provides Credence the flexibility to offer any practical needle length or gauge as a luer or staked needle, while still providing passive needle-retraction safety. An early formative HF study demonstrated user dissatisfaction with conventional active-safety devices. OSHA guidelines call for user-cues and passive needlestick safety, where the safety mechanism automatically activates without the need for specific user action. Further, World Health Organization has called for the broad application of “smart” syringes that prevent reuse.5 The Companion addresses these needs and more. Rather than simply providing cues of safety activation, the user also receives cues that the dose has been completely delivered, allowing the user to focus on the injection and/or the patient. 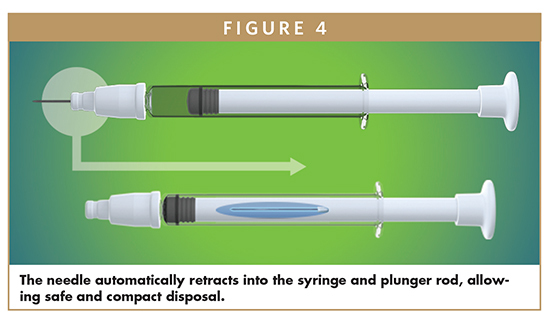 After delivery of the dose, the needle retracts into the barrel of the syringe and the plunger rod, while the plunger rod stays in the depressed position; this allows for an additional boundary of safety as well as compact disposal (Figure 4). HF studies delivered another important message: state-of-the-art safety features are critical, but are not enough to deliver on the promise of a best-in-class injection experience. Critical usability design criteria grew out of this feedback, including the ability to perform all syringe operations required for safe and effective drug delivery. The Companion allows unobstructed viewing and inspection of the drug product in the syringe, air bubble purging, aspiration, and reconstitution. These operations are often prevented with conventional safety devices due to premature safety activation caused by plunger rod manipulation or because the syringe barrel is shielded. 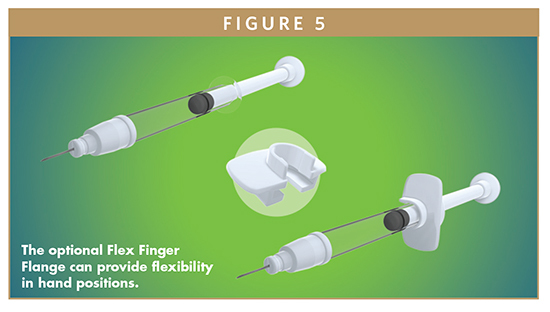 Further, the Companion offers an optional finger flange to facilitate comfortable use with multiple hand positions while always keeping hands behind the needle (Figure 5). Each member of the Companion family has user-driven design features as well as the hallmark elements of providing passive needlestick retraction while employing existing primary package components. The Staked Companion offers the obvious advantage of a pre-attached needle, as well as the more subtle advantage of a reduction in the force required to remove the needle shield. This addresses the common “recoil effect” that leads to needlesticks when removing shields from conventional staked needles. The Luer Companion addresses the risk of poorly attached luer needles that can result in drug leakage, inaccurate dosing, wasted drug product, complaints, and needles left in patients. The Guide-On Needle Cover assures proper needle attachment before allowing the user to remove the cover and attempt the injection. Finally, The Dual Chamber Reconstitution Safety Syringe reduces the user steps needed for conventional reconstitution to one simple act of depressing the plunger, but further offers a pre-attached needle and passive needle retraction. The end-users have guided the Companion’s evolution from the beginning. Seen below are reports on two of the Companion’s Formative Human Factors studies demonstrating what the users have communicated about their needs as well as how they have received the Companion. 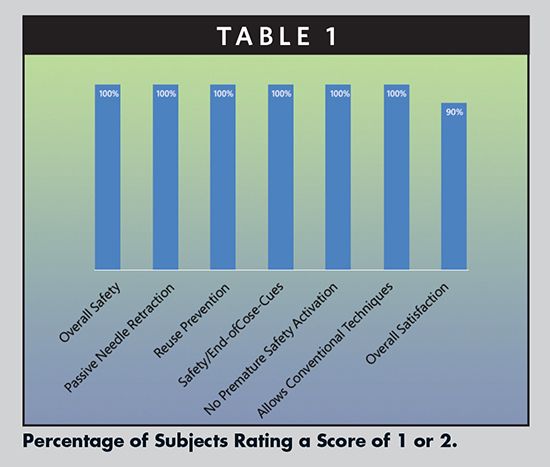 The primary goal of this formative human factors study was to determine the satisfaction and acceptance level of the core features of the Credence Companion Safety Syringe technology and to assess intuitiveness and ease-of-use. Almost half of subjects had experienced an accidental needlestick in their career, and 60% indicated the most undesirable feature of their current devices was the “manual activation” of the safety mechanism. The results of the evaluation showed high acceptance of the Companion’s safety and usability features. All subjects determined this device would protect them from needlesticks (Table 1). Usability of the Companion was rated very highly; 100% of subjects strongly agreed that the customized needle cover promotes proper needle attachment, there is good visibility of the drug in the syringe barrel, the needle can retract directly from the patient’s skin, and the device will work with any required needle sizes. 90% of test subjects judged that the Companion would not increase the time to perform an injection compared to non-safety devices. 80% were satisfied the Companion allows conventional syringe techniques, such as air bubble purging, aspiration, flexibility to approach the injection site from multiple angles, use of multiple hand grips, and disposal of a used syringe. Subjects also expressed high acceptance of the device’s safety. 100% of subjects expressed high acceptance of the safety criteria presented to them, ie, the ease and one-handed activation of the safety mechanism, the ability to keep both hands behind the needle during use, and the clear indicator the safety feature is enabled. 100% of participants also determined the syringe could not be reused following the injection. The human factors tested (nurses working in varied areas with an average of 11.7 years of experience ranging from 1 to 32 years) resulted in 100% of participants stating that IFU device compliance would be achievable with minimal or no training, as device design suggests proper use and the activation of the safety mechanism is intuitive. 100% of subjects were satisfied with the overall safety of the Companion for passive/automatic needle retraction, automatic disabling of the syringe following injection, cues the safety feature is engaged, and confidence that safety activation would not happen prematurely. This study demonstrated a high level of acceptance of the usability and safety features of the Credence Companion Safety Syringe within a cohort of registered nurses. The study additionally indicated that these nurses are not satisfied with their current choices in safety syringes. This study evaluated the human factors affecting the ease-of-use and safety of the Credence Companion Staked Needle Syringe. The Credence Staked Companion was evaluated against a comparative device representative of those present in the market today. Nine out of 10 subjects had experienced one or more accidental needlesticks in their career, and 50% indicated they have a choice of safety syringes used at their hospital. The independent evaluation of the Staked Companion device demonstrated high acceptance by the subjects; 100% of subjects would be satisfied with the choice of the Companion by their employer and indicated the device protects against needlesticks. 90% of subjects also expressed high acceptance of the functionality of the Companion for injection force and one-handed activation of the safety feature, while 100% of subjects expressed high acceptance for automatic disabling of the syringe after injection and facilitation of safe and convenient disposal. The human factors tested (nurses working in different areas of expertise with an average of 21.5 years of experience ranging from 6 to 32 years) resulted in 90% of participants stating that IFU device compliance would be achievable with minimal or no training as the device design suggests proper use and the activation of the safety mechanism is intuitive. 90% of test subjects documented high acceptance for ease-of-use, simplicity of the product, and needle retraction speed/motion. 80% of participants stated the device ensures the entire dose is delivered, and 100% reported the Companion prevents reuse after injection. Overall, the Companion device received high test subject acceptance in all of the tested criteria for appearance, usability, functionality, and safety. When rated against the comparative device, participants found the Companion to be favorable in all areas of comparison (Table 2). 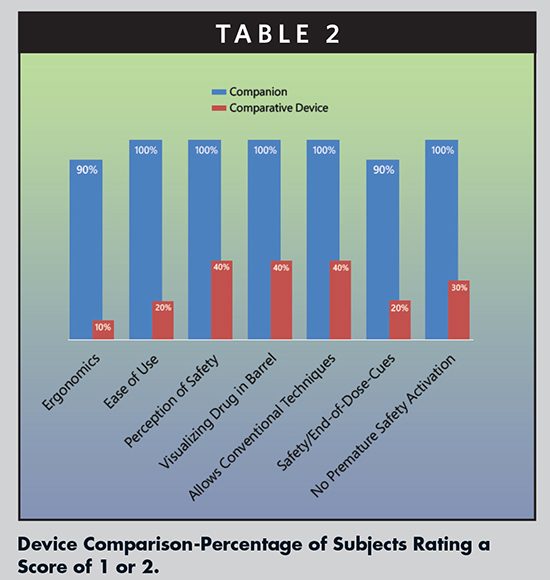 Ease of use and perception of safety resulted in acceptance by 100% of subjects for the Companion in comparison to 40% for the comparative device. The ability to visualize the drug product in the barrel and to perform conventional syringe functions (ie, purging air, aspiration, use of multiple handgrips, etc.) showed the Companion was favorable to the comparative device with 100% to 40% acceptance. The subjects preferred the Companion syringe for the safety engagement cues it provides over the comparative device, 90% to 20%, and for the low risk of premature safety activation, 100% to 30%. The ergonomics of the Companion achieved 90% acceptance as opposed to 10% for the comparative device. Lastly, 90% of subjects rated the overall look of the Companion device acceptable, while only 30% did so for the comparative device. The test subject’s acceptance of the Credence Companion Staked Safety Syringe was high, and the Companion was accepted by a higher percentage of nurses than the comparative product in all areas, including ergonomics, safety, and functionality. This study further demonstrated this cohort of registered nurses believe that IFU device compliance with the Credence Companion would be achievable with minimal or no training. The Credence Companion Syringe System was born from Innovation Without Change, guided by drug manufacturers through collaboration and end-users through Human Factors feedback. Pleasing only the drug manufacturer or the end-user is inadequate; the former can result in a dissatisfied user placed at risk by an unsafe device, while the latter can result in an abandoned technology that never reaches the market. Innovation Without Change delivers for both constituents by enabling drug makers to provide their end-users with the safe, effective, and intuitive injection experience they need. Formative Human Factors studies indicate that the Credence Companion effectively fulfills this mission. 1. Soikes R. Moving from vial to prefilled syringe. PharmTech. 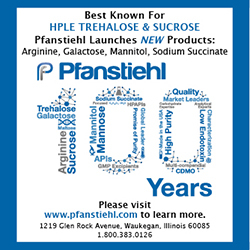 This article is part of PharmTech’s supplement API Synthesis & Formulation 2009. 3. Wang W, Singh M, eds. Biological Drug Products: Development and Strategies. Wiley, Hoboken, NJ. 2014. 5. WHO 2014 study. Evolution of the Global Burden of Viral Infections From Unsafe Medical Injections, 2000-2010. 6. TR-009 RevA Credence Companion Formative Human Factors Study. 7. TR-010 RevA Formative Human Factors Study-Staked Needle. To view this issue and all back issues online, please visit www.drugdev.com. For more information, please visit www.CredenceMed.com or email info@credencemed.com. This product has not yet been evaluated by FDA. John A. Merhige, MEM, BE, AB, is Chief Commercial Officer at Credence MedSystems, leading the Company’s business development, sales, and marketing strategies. Previously, he was Vice President, Market Development at Sanofi BioSurgery. He joined Sanofi upon its acquisition of Pluromed, which he joined in its early stages and was a member of the executive management team. Previously, he founded Prelude Devices to identify early stage medical device ventures and gained general management and commercial leadership experience at Ford and Avery Dennison. Mr. Merhige graduated from Dartmouth College with a Mechanical Engineering degree and returned to Dartmouth for a Masters in Engineering Management from the Thayer School of Engineering and the Tuck School of Business. 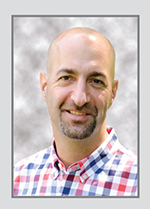 He is a member of MassMEDIC, MassBio, PDA, and has served on the board of directors of the MedDev Group (MDG). Lisa Caparra, RN, BA, serves as Director of Regulatory, Clinical, and Quality Assurance at Credence MedSystems, contributing her registered nursing background and 19 years of Class II and III medical device experience to the regulatory compliance and approval of useful, quality-oriented medical devices. Prior to joining Credence MedSystems, she held management roles with multiple start-up medical device manufacturers of various devices, including drug-eluting coronary stents, heart pumps, breast tissue expanders, glaucoma stents, AAA stent grafts, and embolic protection devices. She is experienced in meeting FDA regulations for devices and combination products, as well as ISO standards, MDD, and CMDR requirements. 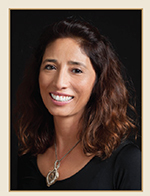 Ms. Caparra created and manages the company’s effective quality/clinical/regulatory systems, establishing the organization as a compliant medical device manufacturer with regulatory bodies.